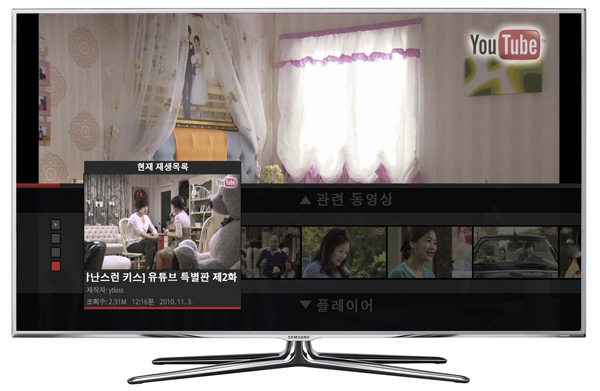 Samsung have revealed a partnership with YouTube that will see thousands of the video sharing site’s 3D clips available through the Korean technology giant’s Smart TV system. The move was revealed at the ‘IFA 2011′ consumer electronics forum, where Samsung demonstrated an updated version of the ‘YouTube On TV’ app for connected TV’s. The app allows users to see a range of 3D video content on their TV screens under ’standard 3D video formats’, using the range of viewing options that YouTube’s official 3D channel offers, with support for video quality of up to 720p HD. Though most connected devices have an official YouTube app, the Samsung version will feature improved search options and enhanced customisation features. The service will also be released to all 3D-ready connected Smart TVs and Blu-ray players from Samsung around the world by the end of the year. How will YouTube fare in the mainstream 3D market?